Hello Summers! Hello summer dresses! And hello, you, pretty lady reading this post! 2016 boasts of the hottest temperatures all around and we are craving for the rains already. Winter wardrobes have gone back into dry-clean mode for most of us. Time to get the prettiest summer dresses in the daily-wear list. 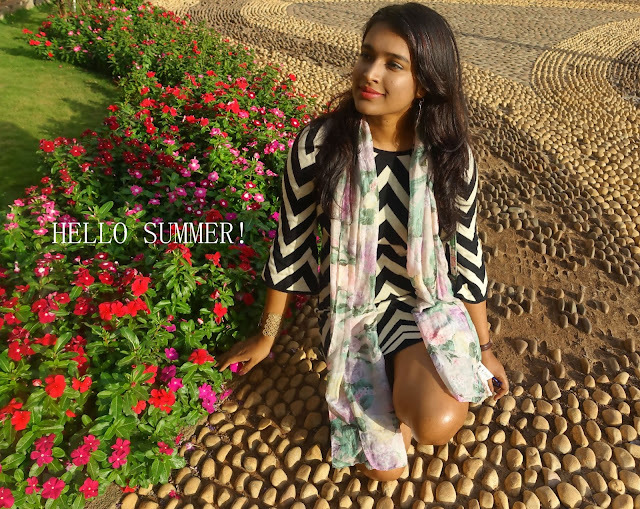 I love summers, because of the summer dresses, oh well , mangoes,aam panna, popsicles and a lot more! You will agree, Summers become tougher for us girls, as we constantly need to ensure smooth, hair-free legs. I embraced shaving over waxing for the longest times I have known. That tells you I am such a chicken; the idea of waxing makes me run like one! Shaving is convenient and fast. Though in a week's time, hair-growth bothers again. 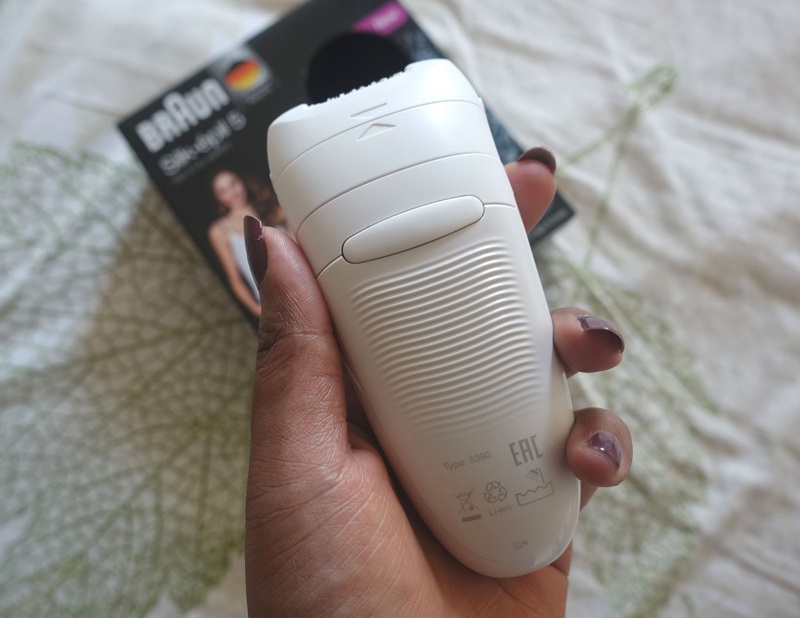 I have never tried epilation except for the Braun face epilator I tested. When I got my hands on the silk epil 5, I was scared, deep down inside! Curious to know the first time epilation experience ? Its right here! 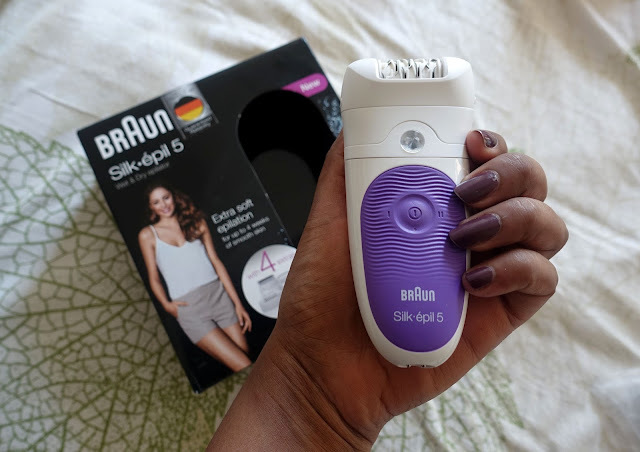 The new Braun Silk-épil 5 Wet & Dry is designed for women who are new to epilating, as it provides an extra soft experience - perfect for women who always want to be prepared and look and feel beauty ready. It can be used in or out of water for an extra gentle epilation experience. Developed for ease of use, comfort and great results, Braun Silk-épil 5 Wet & Dry removes even the shortest hair that wax can’t catch, leaving skin silky smooth for up to four weeks. I was getting late for a party and decided to use the BRaun silk epil 5 for the first time. This was a risky decision but I had confidence in the product owing to my experience with the face epilator. I was shaky at the thought of turning on the device. But PRESS PLAY, and I ran the epilator head in the air touching my leg on frequent intervals based on the pain. What kind of pain you may ask- like someone pricking the leg with a thorn. Yes, it feels you are walking through a bush of thorns. Because you are scared of this feeling, you tend to be real slow with the whole process. I took 30 minutes to do both my legs! Whoa! And was i tired ! On each leg after almost 7-8 minutes of epilation, the leg gets used to the intensity of the prick and then you find it easier to epilate. I didnt use a shaving gel, but I washed my legs before epilation to make the hair bed moist. After epilation, I took a bath and felt better. It wasnt that bad! I can totally see myself daring the act again. But why should i? To answer this, I waited 2 weeks. The legs now showed little hair growth , though not even. This meant I could wear summer dresses for straight 2 weeks! This is surely better than shaving. What I also noticed was that the BRAUN booklet recommends epilation every week in the first month of use. I think this might change the behaviour of hair growth. So yes, I read this late ,but I will try to follow and get back with an update. 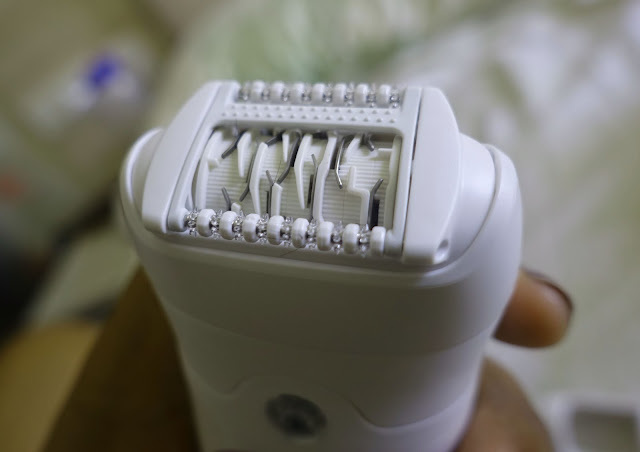 If you are epilating after a long time, and your hair grow considerably long, you can shave them first with shaver head and then use epiltor head. I specially like the concept of the massager head. It stimulates the skin with gentle vibration leading to a less painful experience. - Remember ,this is a no-share product. Please get 1 for each member in the family! - After epilation, you can clean its tweezing blades with the cleaning brush. - If you have used a shaving gel, dont forget to wash it under the tap. 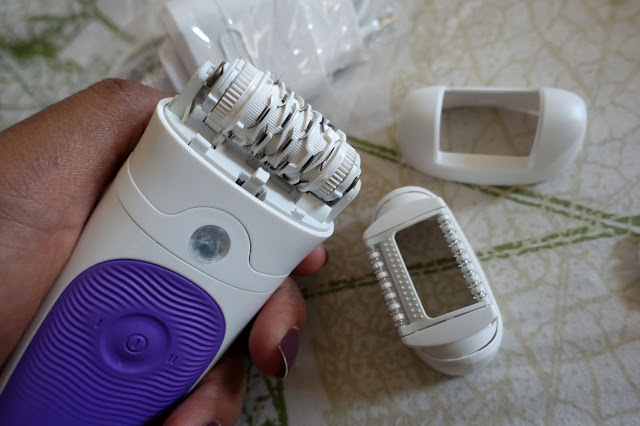 - The charging unit takes 1 hour to charge the epilator. Charge lasts upto 30 minutes of cordless use. Do not use with the cord. - After the battery life diminishes, you might have to replace the battery at a Braun service centre. - The shaving head needs to be oiled every 3 months. It might need replacement after continuous usage. Though I would not be keen on using this. But since I haven't tried it, I will update this space later. - Yes. This is certainly a better option over shaving because you get longer hair-free time! The legs are smoother after day 1 as compared to shaving. You will have to give it the necessary time, before it grows on you! I think I will be able to tell you more once I have used to for about 3-4 times. So lets wait more and watch this space ! 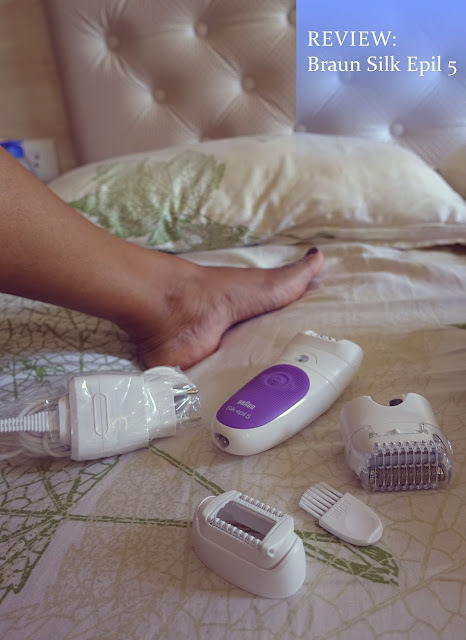 HAVE YOU TRIED EPILATORS? Tell me about your experience. This button is used to remove the head fittings. The arrow is meant to remove the caps.